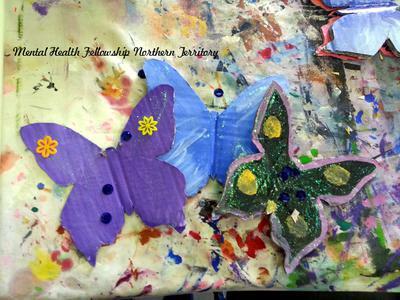 At the MIFA NT we've been painting butterflies for Mental Health Week. 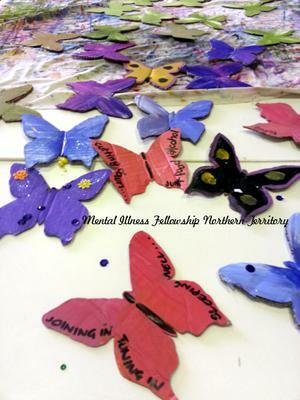 We want you to join us at Mindil Beach Markets on Thursday October 10th where we'll not only be displaying our butterflies but inviting YOU to add your positive message. 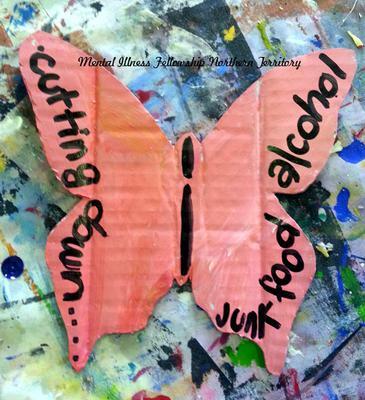 This is all part of Mental Health Week 2013. Help spread knowledge and stop stigma around mental illness.